There is no doubt that Jane Green is a talented author. She has written numerous widely-popular novels including her latest, FALLING, that I reviewed HERE. But besides writing best-selling novels, Jane Green loves food. While leafing through the pages of her cookbook and salivating over the recipes and photos, you realize that she also loves the experience of making the food and sharing it with her family and friends. Jane Green truly loves gathering with her friends and family and the best way to do that is through food. She takes great pleasure in making food and enjoying it with her friends and family, hosting parties, brunches, and intimate gatherings. She is good at it and you can tell by reading the pages of her book. Green begins with recipes for the “Beginnings…” including soups, breads, and appetizers, The “Middles….” remind me of the best of comfort foods with a flair towards Indian and Middle Eastern dishes. Dishes like Asian Orange Chicken, Maple Pork Chops, and Shephard’s Pie are all on my list to try. Finally, she closes out the book with the “Endings…” that will fix that sugar craving. Warm Chocolate and Banana Cake, as well as, the Lemon and Almond Cake Tart have made my mouth water just looking at the photos. Actually, I should mention the photos because they are gorgeous. There are photos of her lavish home, photos of every recipe, and pictures of Jane cooking in her kitchen or setting up for a party. There is no doubt that she loves cooking and entertaining and this book embodies that. I can’t review a cookbook without trying a recipe or two from it. I knew I wanted to try a couple of the recipes right away and got the ingredients. First I tried the Sweet Corn and Chili Soup and it was a hit. 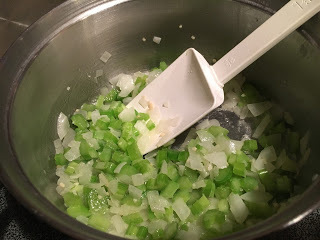 It went together pretty quickly….the most time consuming was chopping the onions and celery. I don’t have a handheld blender so I couldn’t puree the soup, but we liked it just fine without that step. The red pepper flakes gave the soup some heat and it was filling. Of course, the guys were missing the meat but still liked it enough. I could easily add chicken, bacon, or sausage to this and make it heartier. Next up to try is the Warm Chocolate and Banana Cake. YUM! In a large pan, soften the onions in butter, add garlic after 1 minute and celery 1 minute later. Cook gently for around 5 minutes until soft. Add chili pepper/flakes, frozen corn, and vegetable stock. season well with salt and pepper. Bring to boil, then cover and turn down to simmer for half an hour. Take off heat, puree soup with a handheld blender. Add half-and-half at the end and garnish with slices of red chili/flakes or kernels of roasted corn. 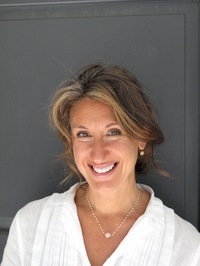 Jane Green is a bestselling author of many popular novels. She has been featured in People, Newsweek, USA Today, Glamour, and Cosmopolitan. She lives in Connecticut with her family. For more information, connect with Jane at Facebook.com/AuthorJaneGreen. 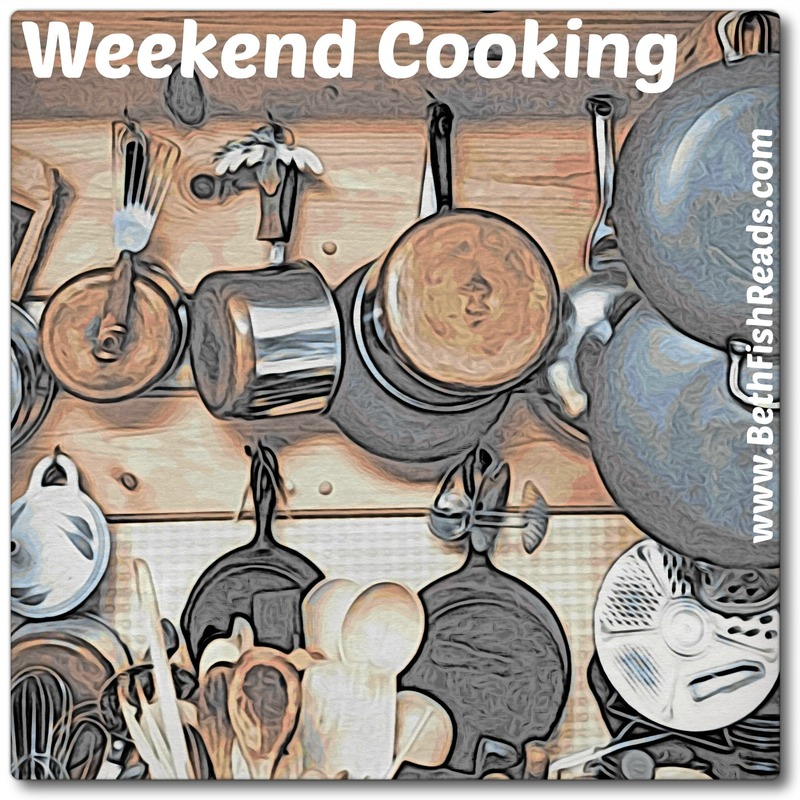 I will be linking up this review with Beth Fish Reads and other bloggers for her regular feature, Weekend Cooking. 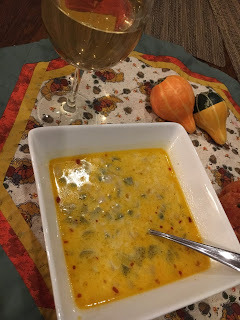 This linkup is open to anyone with food related posts including book reviews, cookbook reviews, movie reviews, recipes, gadgets, restaurant reviews, or fun food posts. Grab the button and link up anytime over the weekend. 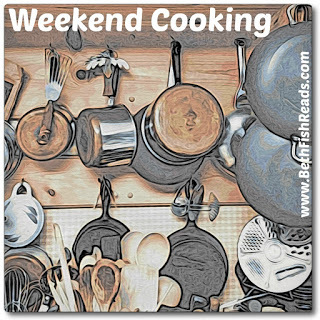 To see all the Weekend Cooking posts, click HERE. Thanks to the publisher for sending a copy of this novel for the purpose of this review. This review is my honest opinion. If you choose to purchase the book thorugh the above link, I may receive a small commission without you having to pay a cent more for your purchase. Thanks for supporting SincerelyStacie.com. First time visitor, and the soup looks great! I need to get a copy of this book. The recipe sounds good! 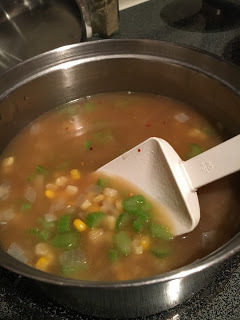 Sweet corn and chili soup sounds fantastic, I'm going to pin this one. Mmmm…this cookbook sounds great! I had to laugh at your comment, "Of course, the guys missed the meat"! That's my son – totally disgusted if I make a meatless soup or other meal! ha ha He's a total carnivore. The soup recipe sounds tasty, though, to me! 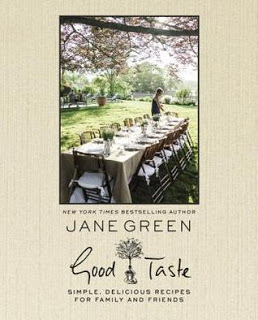 Not only is this a great book, but I loved learning that Jane Green is not only a great novelist but her love of cooking shows through in this new cookbook.